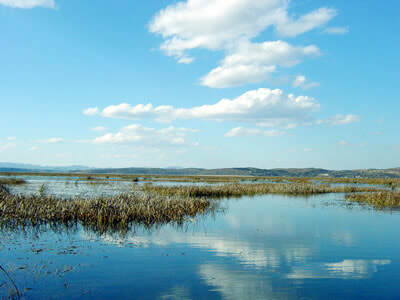 An accredited location in top listings of the WWF for birdwatching is Caohai Lake. Located on the outskirts of Guizhou province, this lake is the largest freshwater preserve in this area and the third largest in all of China. Caohai Lake is directly translated as the Grass Lake. The lake is famous for being covered in grass and hence providing a suitable environment for the local bird and animal species to breed and reproduce. The sights and scenes of the Caohai Lake are absolutely inspiring for the tourist on their Guizhou Tour. Situated at 2200 metres above the sea level and spreading over 30 kilometres, Caohai Lake is the largest lake on the Guizhou Plateau. This lake is inhibited by 184 species of birds such as common crane, white stocks, hooded cranes, golden eagles, eastern imperial eagles, ruddy shelducks and white tailed sea eagles. It’s a must-see for any bird watching enthusiast to visit and photograph these beautiful birds in their natural living habitat. Caohai Lake was given the status of wildlife and natural preserve in 1992 by the Chinese government hence it has been protected and untouched since then. The lake also offers a soothing view of the mountain belts that surrounds it, offering a beautiful scenic perfection for every lens wanting to capture it. Caohai Lake is the perfect place for fish, shrimps, birds and other water animals to lay in peace and repopulate being unharmed from anyone as there are strict laws towards the disruption of the natural environment. It is pleasant to visit the Caohai Lake in any season and especially in spring when the lake is surrounded by peaches, plums and apricots from every corner. To visit Caohai Lake for people on their Guizhou tour should be an absolute respite as they discover their wild side while engaging into this beauty in wilderness. Interested in visiting Caohai Lake? Wendy Wei Tours offers a variety of different packaged tours as well as custom tours including Caohai Lake, among other attractions and destinations. To find out more, please visit our Tours page or Contact Us directly to find out more.